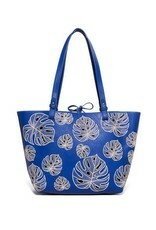 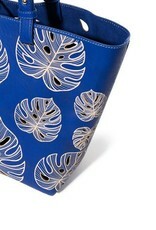 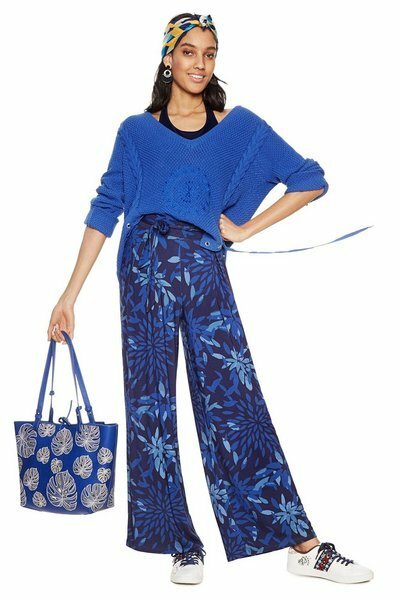 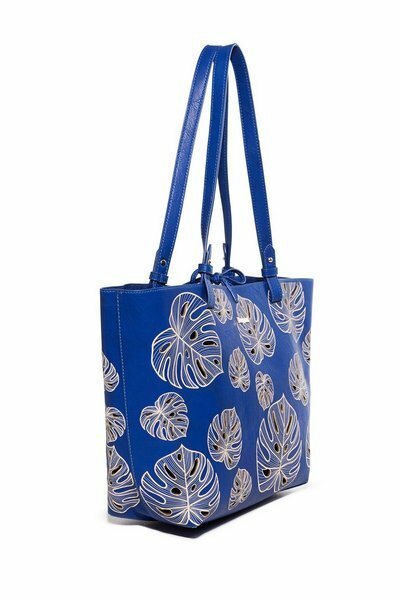 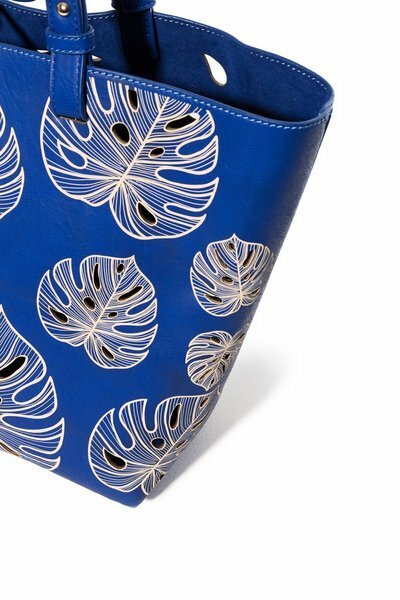 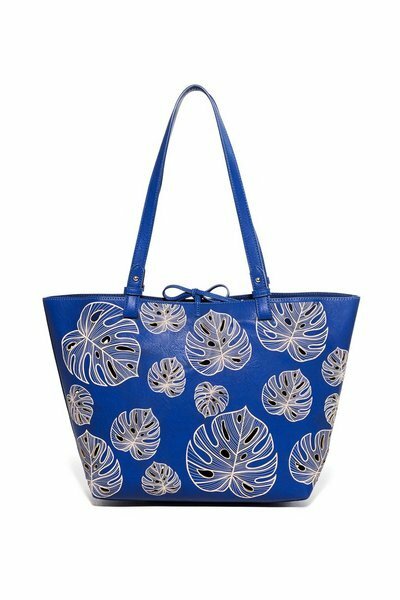 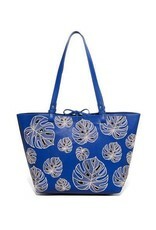 Women's blue 2-in-1 bag with contrasting pattern and openwork details. 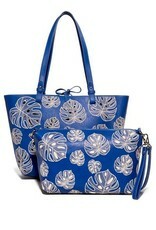 With a small bag inside with a removable strap and zipper. Dimensions: 30 x 13 x 28 cm.